Fixing a bad paving situation. There are many home owners that don’t know that it is possible to repair a driveway or pool area by using the current old bricks. Normally the edge beam on existing paving is difficult to re-use but most of the rest of the bricks can be used again to assist in reducing the cost. The new bricks will age and get dirty in a relatively short time and blend in with the older bricks and hardly be noticeable. 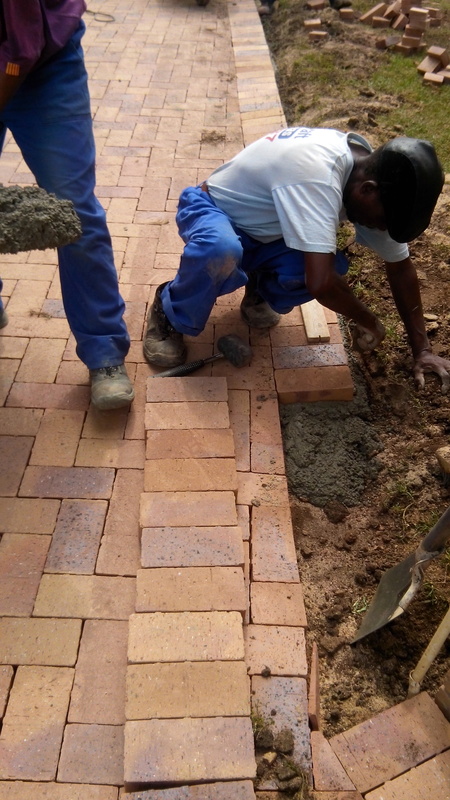 We often save our clients R1000’s by re-using the existing bricks and bringing in plus minus 20% new bricks to make up for the bricks that are broken or can’t be used for one or another reason. We then scatter the old and new bricks in the paved area so that there are no obvious patches and the finished product is a bit mottled as opposed to patched. We have found in a lot of cases that the company that did the original paving never did a strong edgebeam and that is why in most cases the paving collapses. This is one of the most critical areas of the paving but it can be hidden from unknowing clients. To conclude, if you don’t plan on selling your house in the near future and your current paving is functional, then consider an uplift and relay and save a small fortune. The area will still need to be scarified, levelled and re-compacted as if you were doing a new paving installation, the only difference is that 80% of the paved area has been done in your old bricks. We recently did a repair to a house in Bryanston where we uplifted 350m2 of broken brick cobble and relaid the old paving bricks but mixed in 80m2 of new bricks. 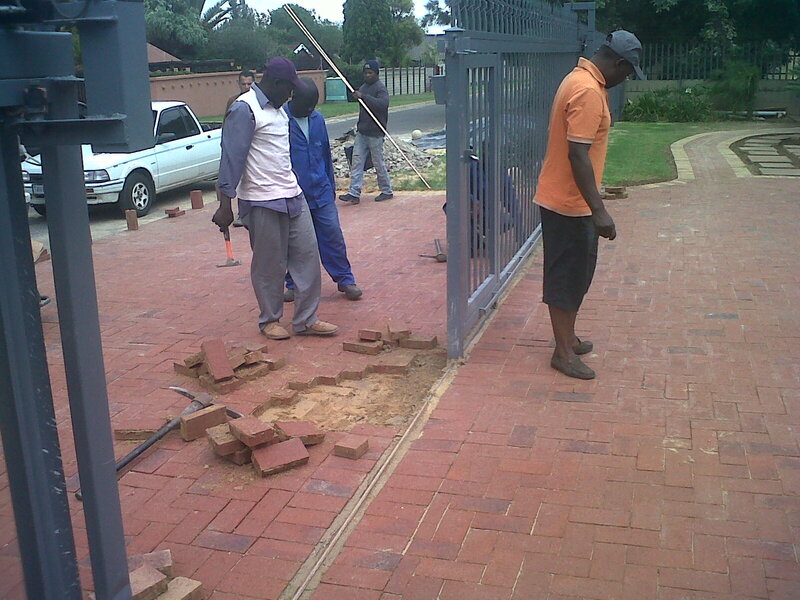 The final result is a functional and repaired driveway which saved the home owner R1000’s. 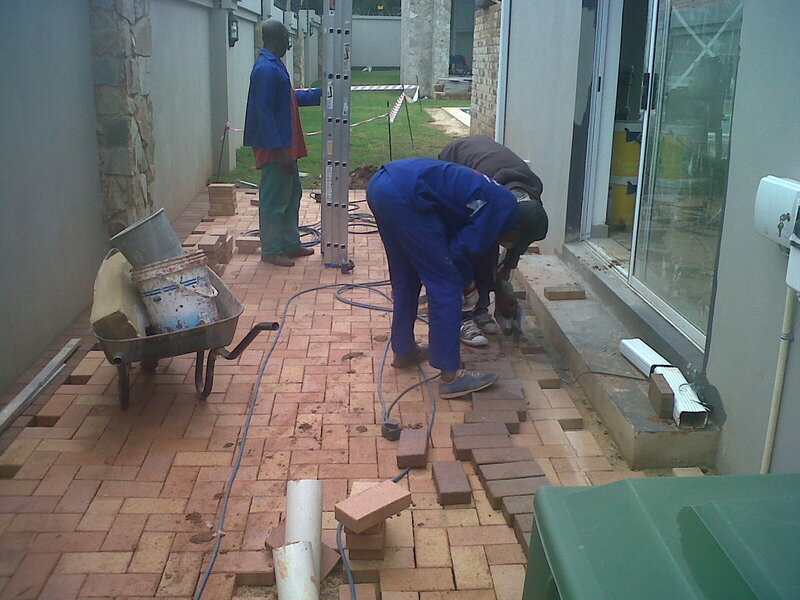 Broken brick cobble being repaired in Bryanston.